Although things appear to have been somewhat quiet, there’s been a lot of hard work behind the scenes and I would like to invite you to take a look at our new secure interactive website which we are sure you will find exciting. We feel it has a more modern and approachable feel that showcases our members and their modalities in a more dynamic way. It took a little while, as it does, for associations to organise themselves in terms of constitutions and codes required for COCHASA membership, but we're delighted to now welcome the MYYO Technique Association as a new member! The MYYO Technique is a holistic, natural way of relieving discomfort and stress in a person so that they can “Live Life Painlessly”. 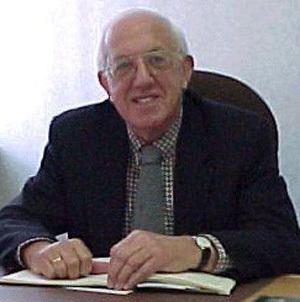 It is with a profound sense of gratitude and respect that we remember Ian, who served as Chairperson and later as Honorary President of COCHASA, as well as on many other professional and sporting bodies up to the time of his passing. A true gentleman, his wisdom and integrity will be greatly missed.